Ciao Trasimeno is a free web site that will help you find the perfect place to stay for your holiday here in Panicale, the balcony on the Lake Trasimeno, or in the surrounding Lake Trasimeno area.We are a group of 12-15 owners of Villas, Townhouses and Apartments who decided, together with Katia Mughetti of Panicale, to create this web site and advertise our properties directly. We are most fortunate to have our friend Katia, an effervescent and charming young Panicale native to facilitate this for us. She is a wonderful hostess, always happy to welcome you, our guests, and introduce you to this special and stunningly scenic part of Umbria. Katia, who has a degree in Art History and a background in tourism as well as real estate, is very knowledgeable and will be helpful in all aspects of your visit. She will be delighted to recommend the best restaurants, arrange cooking demonstrations with a local cook ( a grandmother or "nonna") followed by dinner, or organize outings for local wine and/or olive oil tastings. The last tow can also be a fun way to meet other visitors, very nice especially for those of you who are a planning a longer stay. Katia speaks fluent English and will tell you everything you need to know. If you would like, she will get in touch with you regularly and, most especially, will tell you about the many markets days, festivals and events taking place around the area, as well as advising on the most interesting and charming hill towns to visit. Her warmth and enthusiasm promises to make your trip a most memorable and special time. All our guests fall in love with the Lake Trasimeno area, and especially the beautiful medieval village of Panicale. People here are very friendly,kind, and are delighted with foreigners attempts to speak and converse in Italian. With Katia as your guide, you will be taken in and truly become a appreciate why we all have choosen to call Panicale and the Lake Trasimeno area our home. Please contact Katia directly on our behalf. Have a fabolous holiday, enjoy your stay......and then write and tell us of your experience!!! are looking for. From the day of your arrival, a local English-speaking caretaker will be available to answer your questions and make you feel at home in the villa of your choice. be one of them. We leave the rest up to you. 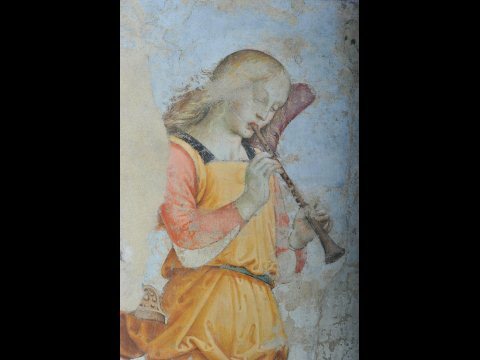 its delicious “Vino Nobile” wines.Further north lies the provincial capital of Arezzo which houses, in the Church of San Francesco, the exceptional murals of Piero della Francesca, depicting the horrors of the Battle of Anghiari and the Legend of the True Cross. overlooking the twinkling lights of Lake Trasimeno, below. Castiglione del Lago, a lovely town on a narrow peninsula on Lake Trasimeno. are Todi and Orvieto (both about 45 minutes). Umbrian hill towns are: Citta della Pieve, the birthplace of Renaissance artist Perugino; Assisi, the home of Saint Francis; as well as Spoleto, Bevagna,Montefalco, Spello, Deruta and Gubbio. train an hour to Florence or to Rome. It's a relaxing way to visit these large cities and return to the tranquility of Panicale at the end of the day. The town is a well preserved medieval village but it has all of the conveniences of modern day life. 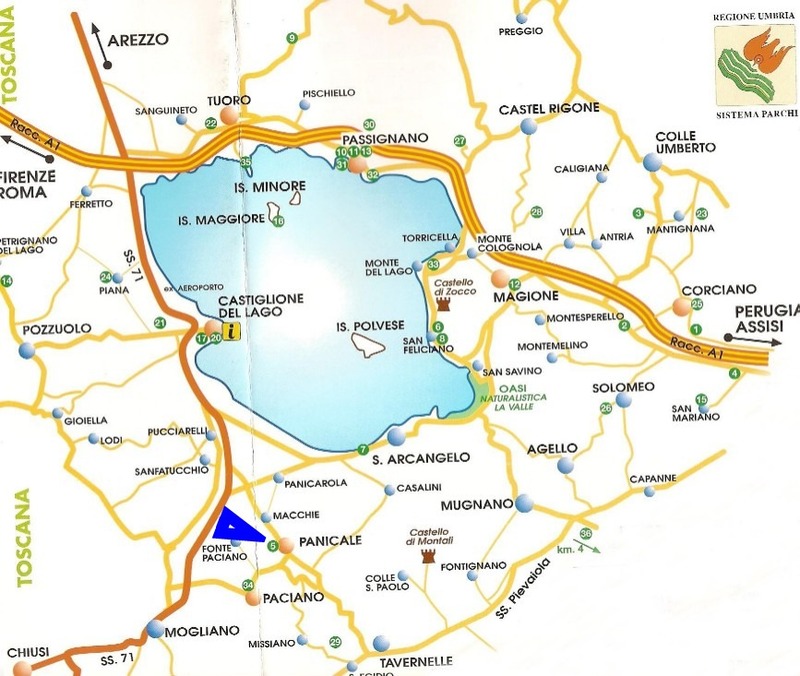 It is located in the hills above Lago Trasimeno with views over the lake and the surrounding countryside. few other small shops. There are two cafes in the lovely fountain-graced piazza. 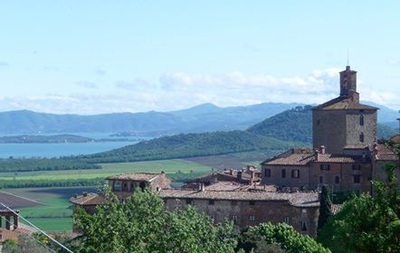 A walk around the medieval walls on the exterior ring road affords spectacular views in all directions, panoramas of wooded hills, terraces of olive groves, and the beautiful ever changing Lake Trasimeno. 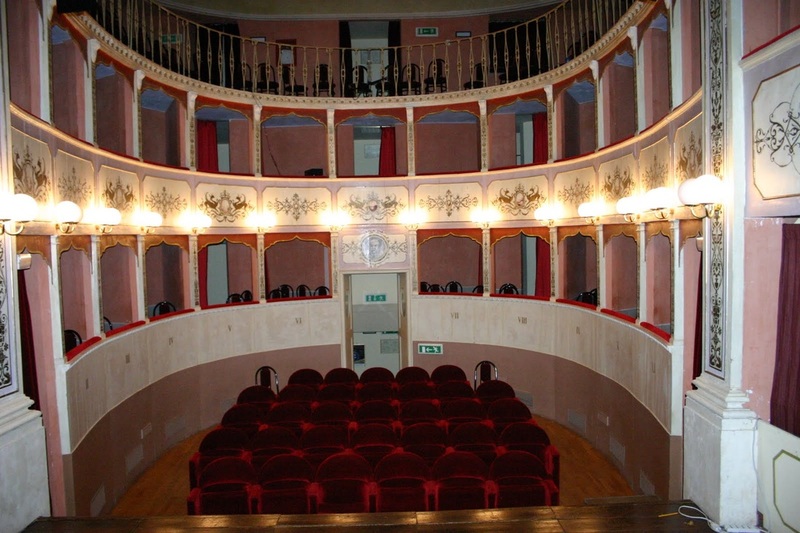 The lovely 18th century restored Teatro Caporale has regular concerts and other cultural events. There are several churches, two of which house famous paintings. One, is the not to be missed Martyrdom of St. Stephen by Perugino, not at all the usual gloomy, gory depiction but a radiant, colorful, and joyful painting of a saint in the making. The other by Massolino di Panicale is also certainly noteworthy. The lace museum has regular exhibits in addition to their permanent collection. 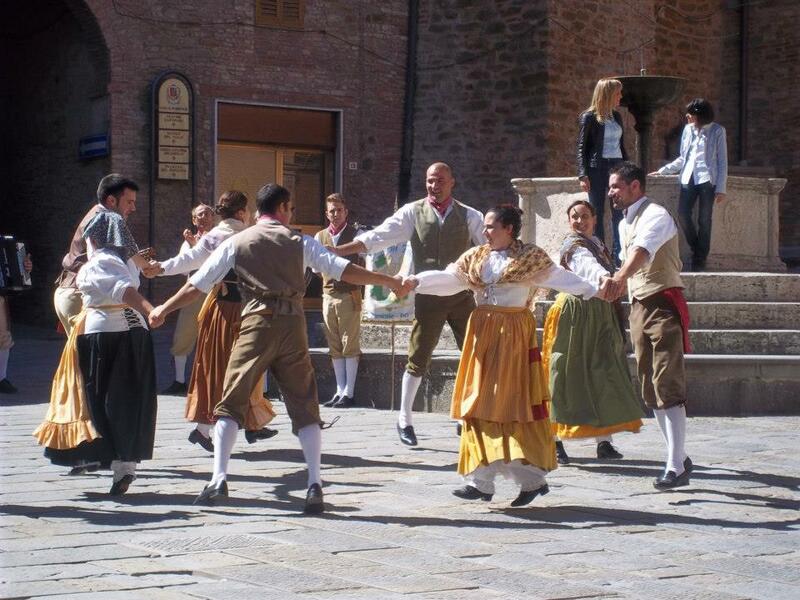 There are regular festivals in and around Panicale, including the grape festival in September, the chestnut festival in October and a unique celebration of Easter which includes the rolling of a giant wheel of cheese! We chose Panicale to start our 6 month long term rental to see how we could adjust to permanent life living in Italy to be closer to our adult children. We could not have picked a more perfect location. Panicale is beautiful and we watched all 4 seasons evolve during our time. We lived in an ancient house on the wall and the views were stunning. Winter was quiet - perfect for us as we were still commuting back to UK for work - Friday evenings spent in Aldo's bar on the cozy sofas drinking wonderful wine and eating Aldo's changing appertisers...very yummy. The lovely Katia was the perfect hostess....extremely efficient, sorting all problems instantly and making us feel a special part of the community of Panicale. after spending the month of March in Panicale. The Il Podesta apartment was a perfect home away from home for us. We are a couple in our 50's, and have been to Italy several times. This was our longest stay, and we loved it. Il Podesta was just what we needed. It had everything to make our stay comfortable. live nearby, so she was available, but not at all intrusive. We can't wait to go back and see her and her family again next year! We miss you, Katia! stairs, but we had no problem. Mille Grazie to Katia and Il Podesta! There are so many reasons why I love Panicale. I always have a fantastic time there. 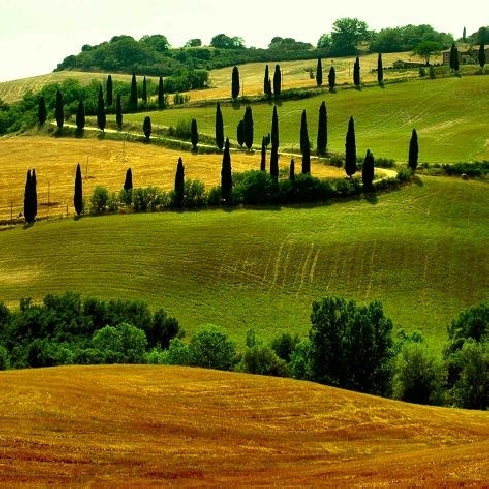 It is one of the most beautiful and unspoiled hilltop towns in Umbria. The people are friendly and helpful. The town is lively and vibrant during festivals. My favorites are the chestnut festival, and of course, the charming festival of the grape.There is nothing that compares to sitting in the piazza, sipping wine, while a band plays 80's rock and roll under the stars! You will find restaurants, coffee bars, and breathtaking medieval artwork. If you want an authentic Umbrian experience, contact Katia for a house rental. She is a wealth of information and one of the nicest people I have ever met. We loved our time in Panicale and will write the very best review. It was our favourite holiday ever!Everybody was so friendly and kind. Thank you so very much for your care and attention during our visit. We are now missing Panicale and all the lovely people we met. Please keep in touch and love to all your family. We have stayed in Panicale many times and always come back to this beautiful medieval village. With the help of Katia our vacation experience has been delightful. Katia always has a smile and a warm welcome, she speaks English, knows the area well. In our recent vacation we stayed at La Dimore Di Elisa in Panicale, a beautiful 500 year old house with a beautiful garden overlooking the lake. I would highly recommend Katia for booking your stay and for her great recommendations on what to see in the area. Thank you Katia for all your help and hospitality. Panicale, from it's vantage point high above Lake Trasimeno, is the ideal location to visit the best of Umbria and Tuscany. The visitas are stunning ,where, on a clear day, Cortona and Montepulciano are in sight. and Castiglione del Lago can be seen sitting on a promontory in Lake Trasimeno. The lake often looks emerald green with three jewels of islands sitting on it. Isola Polvese, one of the islands is worth a visit, for it's historical significance, nature and a nice walk. The hill town of Panicale is above several small hamlets with abundant olive groves, grapes and fields of grain. There were red poppies filling the fields when we were there in the spring.Many trails encircle this lovely town to satisfy any hiker. 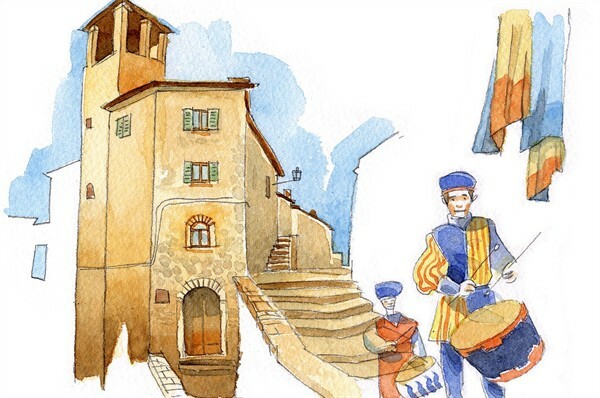 Inside the medieval walls of Panicale you will find the center of daily life in the main piazza. The people of Panicale are warm, kind and proud of their town. Everyone goes to Bar Gallo, "Aldo's",where you will find locals but also, Americans, Australians, Brits, Canadians, along with other nationalities. 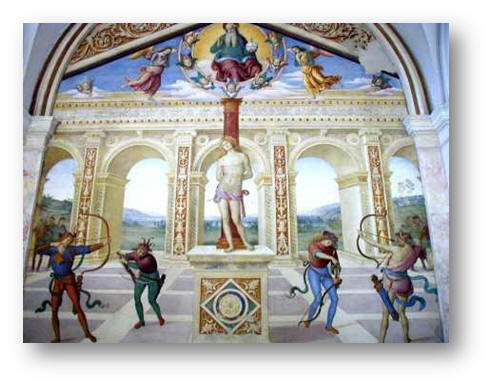 Along with great food and wine at the restaurants, Panicale also boasts a fine assortment of Renaissance masterpieces. We were fortunate enough to meet Katia, and rent Sogno Panicalese, which she manages. It is an in-town palazzo, comfortably appointed with a well equipped kitchen and great bathrooms. The house comes with WI-FI and is within a 3 minute walk to restaurants, bar, markets, etc..... a great location. All the rooms are spacious and airy. The rooftop terrace displays a superb view of the country side and Panicale. Before we arrived in spring, Katia had filled the pots on the roof with lovely flowers......how welcoming that was. Katia lives in Panicale, so she and her husband Massimo are good resources for places to go around Panicale, We have peace of mind knowing they are around if we are in need of something or information. They both speak English. We have stayed at Sogno Panicalese a couple of times, it is perfect for our needs. Katia makes the arrangements with the owners, and when we arrive to Panicale she is there to greet us..always with a smile! We are already planning our next visit to Panicale. Our 4th trip to Italy and the second time we rented a house in a hill top village...first time in Cortona and this time in Katia's wonderful small Panicale.Found Panicale to be much smaller than Cortona but more relaxing and due to Katia,s attention to making us comfortable more friendly. It seems that every one knows and likes Katia, for good reason as she is most friendly and helpful but not in a "pushy" way I enjoyed meeting her husband Massimo who told me all about the olive trees on his property.Every thing that Katia says in her web site about the house and Panicale is accurate. The restaurants we frequented, Masolino and Lillo Tatini had food to die for as well as friendly owners and the house red wine was the best! The little market up the hill...Linda and her daughter own was an easy walk to keep us supplied with fruit, meats cheese and wine to enjoy at our house in the afternoon before going out to dinner. We had a car and took daily trips in the area and highly recommend Umbria Terra e Sole in Castiglione for lunch, say hello to Marsida and Erica who helped us enjoy. We agree with every one else that has written notes that Aldo's Bar Gallo is the center of the town square for morning, noon and night food and refreshments. In closing...we had a wonderful visit to Panicale and hopefully we will be able to return some day. When my husband and i retired we gave ourselves the present of a year in Italy and landed in Umbria at one of Katia's houses. We now live in one of the most beautiful places on earth. Each day the light and colors shift on the hillsides as the farmers plant new crops. The gardens around our house have given us cherries, plums, apricots, pears and now figs and we are waiting for the olive harvest for our own olive oil. Everyone we have met in this beautiful place has opened their arms to us -- cooked for us, introduced us to others, made sure we knew about the festivals and especially the town dinners! We can't believe our luck to be in the Paciano/Panicale area and to have Katia as our guide. Who knows, this year may turn into two or three or ?? Buonasera Katia — Hi and we really are missing you and Panicale!! We posted our review on VRBO today. However, I don’t see the review when I just visited the VRBO internet sight. I hope it got posted properly! Please give our love to Massimo and the boys and know how much we appreciate you and your wonderful hospitality to us. Your Ciao Trasimeno website is fabulous! What a wonderful way to share the love and introduce visitors to your little piece of heaven. It's such a welcoming community that I instantly fell in love with it, and can hardly wait for the opportunity to return sometime with my husband, Rob (who gallantly stayed home with the kids this visit). Thanks again, Katia, for helping to make it a special visit. Last summer, my wife and I decided to spend the winter in a typical Umbrian hill town. We had the thought that the overwhelming majority of visitors would travel to the region in the spring or summer, but that it would be more of a test to give it a try in the depths of winter. 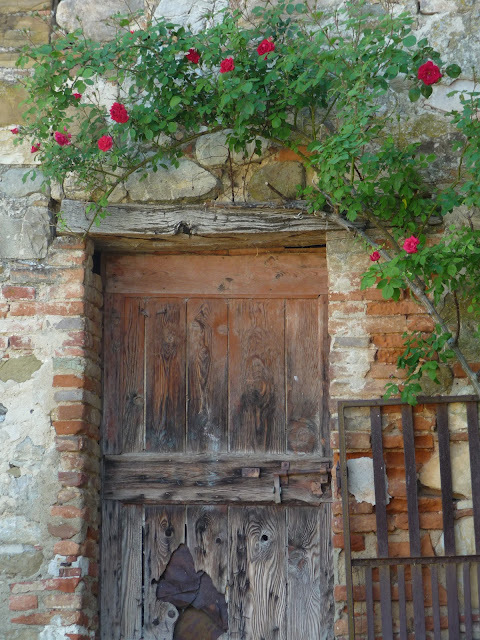 We came across the village of Panicale, showcased on the Ciao Trasimeno website and it proved to be an inspired choice. We arrived at the beginning of November and took up residence in Il Roseto, conveniently located right outside the walls of this outstanding village. This property is perfectly positioned right outside the walls of the village and outside, the property has a large and pleasingly private garden, with a table and 4 chairs which was ideal for lunchtime. We also enjoyed it at night when the stars came out to offer a spectacular display overhead. Overall then, Il Roseto proved to be a terrific place for us to stay, containing all of the features I've described and also superbly situated just outside the walls of the brilliant village of Panicale, which besides being magnificently well preserved also contains 3 really fine restaurants, some shops, a pharmacy, a theatre, a post office, a doctor's surgery and a bank. From its significantly elevated position there are breathtaking views towards Lake Trasimeno on one side and a lush valley on the other, with mountains in the distance. On top of that, it's perfectly positioned to visit anywhere in Umbria or Tuscany, as well as Rome too. Nevertheless, in spite of all of those undoubted attributes I would unhesitatingly agree with practical everybody else who has ever had the pleasure of staying here, in that the jewel in the crown is the property manager Katia Mughetti. Look through the Ciao Trasimeno website and you'll find a never ending list of glowing testaments to her attention to detail, genuine concern for her guests and her all-round warmth and infectious personality. She's always there whenever you need anything and yet never too obtrusive. We both really looked forward to her every visit, when she was checking that everything was to our satisfaction. She could arrange anything and find a way around any pitfall it seemed. Whatever one suddenly decided was needed, if she didn't have it herself then she could always come up with a relative or friend who might have the answer. Panicale was really good for us, but Katia is unforgettable, along with her husband Massimo and the rest of her family, who we had the pleasure of visiting in their home on several occasions. Panicale is a great place to experience be assured. The village is everything I've described but its people are what you'll remember long after your stay has ended as well. Posto ideale per passare qualche giorno in una location speciale. I casali, hanno tutto, ben tenuti, puliti e comodi. Il personale sempre pronto in qualunque momento ad intervenire per aiutarci ed assecondarci in qualunque nostro desiderio. Lo consiglio vivamente, senza se e senza ma! Panicale e' un posto incantevole. I came. I saw, I bought! After stumbling across Panicale several years ago on a vacation to Italy, we came back annualy and rented the boldrino apartment for several years. Then we purchased a house on via del filatoio. We look forward to our bi-annual trips to this lovely town. Have made friends with locals and expats that frequent the place. 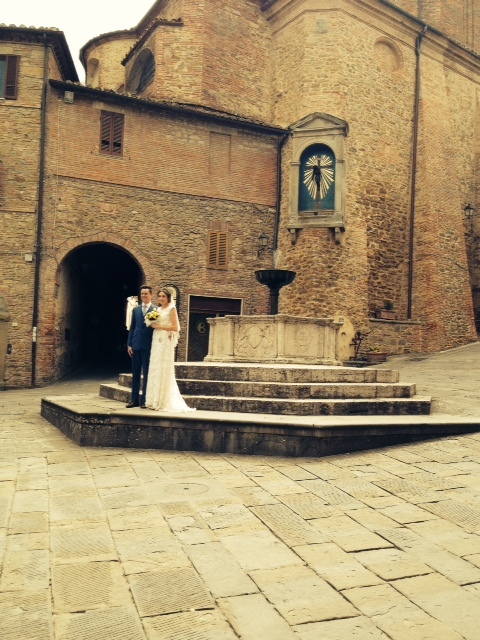 People come and go but the magnet that is Panicale is as strong as ever. totally scrumptious... and it was terrific to come home to a quiet village after spending the day touring the more famous hilltop villages of Tuscany and Umbria. Some days I just hung out in Panicale all day. savoring "la dolce vita"! Gallo were delicioso! Don't miss out on the canoli dessert at Il Pozzo... yum! I felt totally pampered by everyone! needed her, but didn't intrude. She gave suggestions on what to see and do allaround the area. roasted potatoes... and cantuccini (dipping cookies) with vin santo! What a gourmet meal, and such fun! nothing we like better than to drive the short distance in the early evening to Panicale. 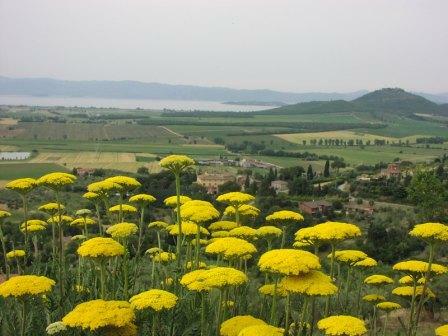 We park the car at the first gate and walk along the terrace with the beautiful views of Lago Trasimeno. I lived in Italy for a few years and have traveled all over the country. Though each town is interesting, I usually only visit a place one time. one of the best preserved medieval towns in Italy, and it has wonderful art, fantastic festivals, excellent food, and the friendliest people. I can't wait to go back and visit again! Panicale could well be the most charming small hilltown in Umbria! 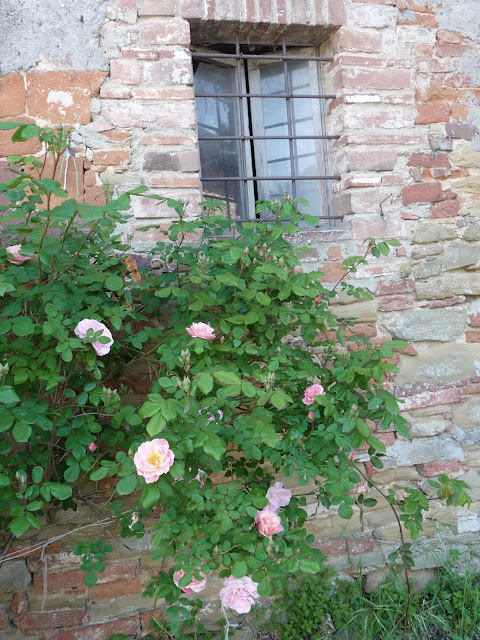 We had such a wonderful time in Panicale, and enjoyed our lovely home away from home, Casa del Sarto…. As always, you were the perfect hostess, ready to help us when we needed it, and always available for anything that came up. We enjoyed spending time with you, Massimo, and your entire family, and we miss everyone so much! The apartment was perfect, our second time staying in Casa del Sarto for 2 months. We have great memories now…the beautiful fires in the evenings, meals cooked in the sweet kitchen, and waking up to the sound of all the birds outside the bedroom window. Of course, we love Panicale, and the entire Lago Trasimeno area…so many wonderful opportunities to enjoy nature, painting, a glass of wine by the lake, a great meal…or just doing nothing…it is a wonderful place to lose yourself. We can not wait to return. We can't thank you and the owners of the apartment enough. This year it really felt like home to us. I hope the flowers are ok, and that the next guests will enjoy them! Please let Steve know how much we love his apartment, and we hope to meet him some day! 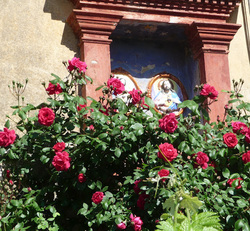 If you want to have a good vacation in Panicale! You are always disposable and a great help. I can recommand that you to rent house, apartment etc through Katia and I can assure you that EVERYTHING will be in order. She will do everything to give you a good vacation. We could not have had a better trip to Italy. My husband and I stayed at the Sogno Panicalese with our 2 teenage daughters and we all had a great time. The trip to Panicale from the Rome airport was very easy. 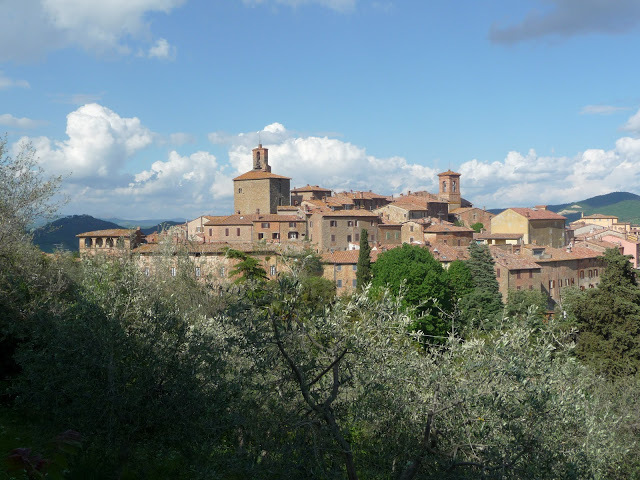 We took a train to Chiusi and rented a car and drove the 20 minute trip to Panicale. The village was gorgeous and the townhome was more than accommodating. The photos on the website cannot fully capture the luxuriousness of the townhome or the spectacular views. The views were truly breathtaking. The townhome was clean, spacious and had every amenity that was listed. We used the kitchen often and cooked fabulous meals with the local ingredients bought right in town. The people in the town, shops and restaurants were all very welcoming and friendly. We stayed a full 3 weeks and felt part of the community. The manager of the property became a friend and was always helpful and eager to answer every question. It was comforting to know she was moments away should we have needed any help. 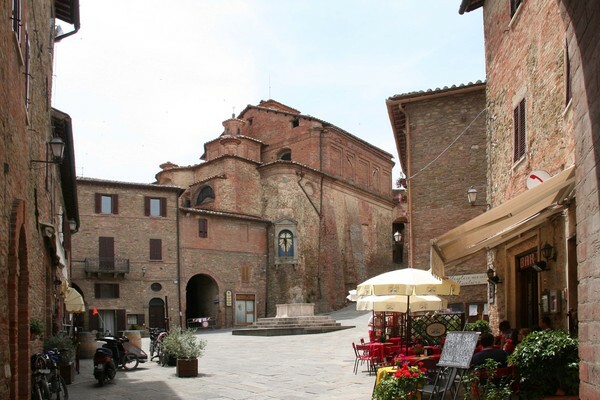 Panicale is a fascinating town and we spent days walking and exploring. We also traveled very easily by car to nearby towns: Perugia, Deruta, Castiglione Del Lago, Cortona, Montepulciano, Pienza and other towns in Umbria and Tuscany. 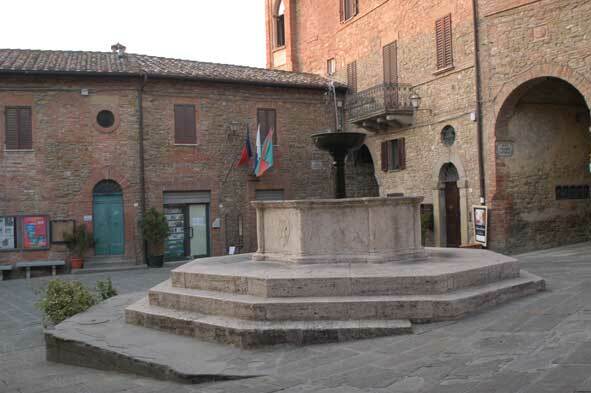 Panicale was perfectly located for sightseeing in the entire area. We also easily took the train up to Florence a couple of days. The townhome was very comfortable and easy to live in. It was as comfortable as our own home. Our daughters could walk anywhere in the village and spend time by themselves around town and in the cafes. We all especially loved Danielle and Aldo's bar, where we spent a lot of time, especially our daughters who hung out drinking cappuccino and using the free wifi! Aldo was very generous and hospitable. His bruschetta was absolutely the best! We had our last meal of our stay in Panicale at the restaurant Masolino which was truly special. We also loved the restaurant Pelicano which was right outside Panicale and served the best piz za we ever ate! Panicale is a magical place. It is hard to express how beautiful it is. The Sogno Panicalese is luxurious and extremely comfortable. We had enough time that we could spend days wandering around Panicale and relaxing at the townhome. When we were on-the-go traveling, it was a great home to come back to. We spent hours on the rooftop taking in the view and enjoying our time. It was truly like a dream. It was our good fortune to have found it. Thank you! I have known Katia for more than 10 years, and she has been such a dear friend and trusted business woman during that entire time. She put us in touch with the family who owns La Querciolana at the foot of Panicle for our Italian Village Lifestyle program for people 50+ who want to learn and enjoy the health benefits of the true Italian lifestyle. The accommodation and Tenuta were perfect in every way, and the Carra family are embracing, gracious, loving proprietors and hosts. We can not say enough positive things about the apartments, the fabulous Chapel, the grounds, the Vineyards and Olives! Between Maria Louisa's exquisite talent in the Cucina, and Guelfo's chef and Sommelier expertise, we left each meal happy, satisfied and like we just discovered heaven!! The setting of the terrace or dining room were lovely, and of course the wines from La Querciolana among the very best of the region! Thank you dear Katia, Maria Louisa, Guelfo, Arrezio and the entire Carra family. I truly left my heart in Panicale! I have stayed in this heavenly hill town 8 months over these past 4 years, renting several of Katia's apartments & villas. She takes such good care of you, answering your questions on properties, giving you ideas & opportunities while you are there... everything to make your "Italian immersion" an adventure you'll cherish forever! What makes Panicale so special? The people! They care. They want you to have an extraordinary vacation in their village! Panicale has a wonderful butcher... fantastic meats! Unbelievable pork chops! And his wife makes to-die-for lasagna that you heat up at home (order ahead... double the headcount on the order, you'll want 2nds, or at least leftovers!) Nothing like the thick, heavily cheesed & sauced stuff sold here in the USA! Panicale also has a small bakery that makes great THIN focaccia... my favorite, onion & fresh sage. Go early for best selection. And order ahead for a delicious fruit tart ("crostata")... my favorite, apricot jam (albicocca) or cherry jam (ciliegia). Three restaurants in Panicale... all good! Lillo Tatini, Masolino's & Osteria il Gallo nel Pozzo. Reserve a table for 2 on the balcony at Masolino's for a great view of Lake Trasimeno... only a few tables available. Order dessert panna cotta at both Masolino's & Lillo Tatini... with berry sauce... heaven on a spoon! Order a Sicilian canolla at Osteria il Gallo... Simone is 's wife is from Sicily! Dreaming of handmade pastas & delicious sauces, eating "in season" on locally sourced foods? Panicale has you covered! Bar Gallo (my morning coffee & peope-watching place) has great, fresh salads, beautifully presented. Owners Aldo & Daniele are fabulous... and also parents of Simone, of Osteria il Gallo nel Pozzo fame! There's a great pizzeria in Paciano, the next hill town over on Mount Petrarvella. A nice walk over & back along the mid-mountain road, a few kilometers. Seating outside on their patio... surrounded by flowering blooms! So you see, a few daily walks around the town's medieval walls... or sightseeing a nearby hill town, is quite important to allow room for all this glorious food & wine (haven't even begun to describe the local Umbrian wines yet!). Emanuela owns a quaint shop next to Bar Gallo that carries beautiful Umbrian linens... Yolanda has top quality fruits & veggies & some nice dishware & handicrafts for sale... Linda owns the wonderful grocery store just down from Masolino's restorant, where she hand-cuts your prosciutto to order! Ask if she has any YoBee yogurt, from a nearby sheep farm! Delicious!... Luigina owns a grocery store just outside the walls, on your way to the bakery. Her handmade lace lampshades & gifts are stunning! Add some beautiful churches, a post office, a tiny hardware/housewares store, a real estate office, barber & hairdresser... & that about covers the commercial part of town. You can easily find yourself content with a good book, people-watching & striking up conversations, roaming the cobbled streets within the medieval walls, and simply hanging out in Panicale! Makes me quite homesick, remembering all the wonderful people of Panicale! For an adventure of a lifetime, contact Katia & rent a place here... no doubt, you'll be back again & again! Have been to Panicale 3 times and fell in love with it and the people there. 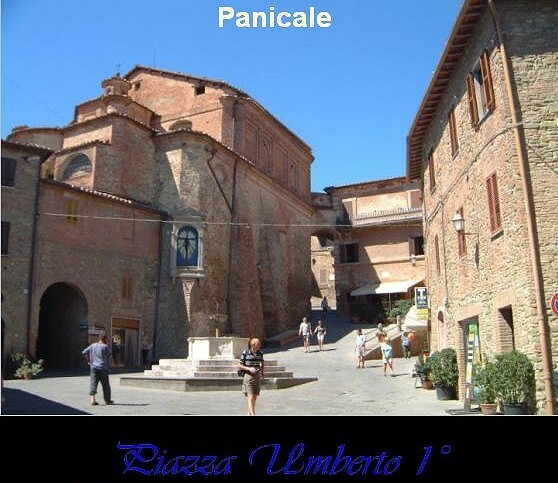 Panicale is the classic hilltop Umbrian castle town. Some people call it the balcony on Lago Trasimeno. It just hovers up over the lake. Floats really. Incredible walled village. And our home away from home. Social life all out of proportion to its size. We are always trying to make up for lost time there and pack so much into our small Umbrian vacations. We’ve taken to calling it Panic Alley because we get so swept up in all its social swirl. Small, but as the county seat of this part of Umbria, it has everything: A Theater that looks like a mini La Scala, grocery stores (3) hairdressers (3) flower shops, restaurants (3, again) police, medical clinic 24 hours, pharmacy, four cafes for your daily cappucchino fix, a piazza with marble fountain, churches and on and on. Our favorite thing is to hold still for long periods of time at a sunny table in the piazza, near the gate to the town outside Aldo’s Café. It is like being at the theater and at any given moment, the show you least expect will start. A wedding party of hundreds will arrive. An antique race car rally will appear with people with tables and forms and stop watches and luscious red Alfas. 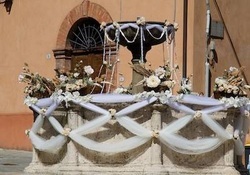 Tables with flowers, candles and linens will appear and there will be music in the piazza by moonlight. Heads of Umbrian cheese are raced down the streets, the day after Easter, Wine harvest festival floats parade around the village walls. And then come around again in slightly different and more ribald form. And, what fun, they are REQUIRED to dispense Umbrian wine to one and all. And the most fun on a daily basis is the simplest. Just meeting yet another interesting new friend, someone to share a cup of coffee and local gossip with. The whole population must come and go through the few streets of this walled village on foot as these streets are almost too small for cars. And there’s just one gate at each end of town interrupting the massive walls. Going a few feet to the café for coffee can consequentially take all morning – as you see everyone. Looking for the plumber? Go get a cup of coffee. He’s either there or will be and Aldo will tell him to come find you. Almost easier than using the phone, plus, you get another cup of coffee. And just doing that can be where the fun often starts, just being open to whatever happens to be going that day. Perhaps the biggest lesson we’ve learned in Italy: living in the present and enjoying the moment. 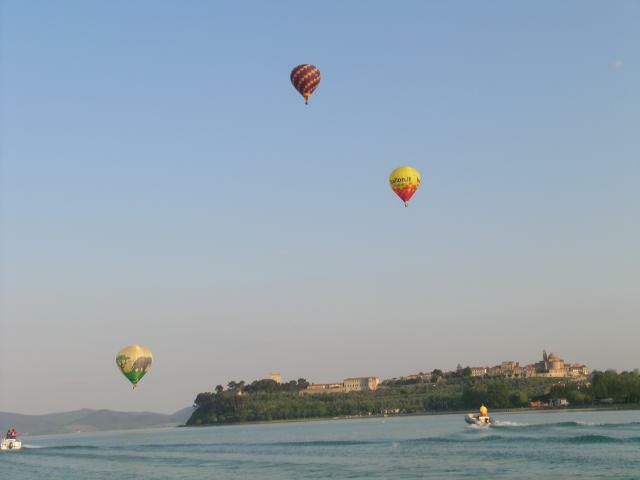 BLOGS OF ALL FRIENDS OF CIAO TRASIMENO: ENJOY IT!! Elisabeth & James Aponovich from N.Y.